the people for their respective deity. 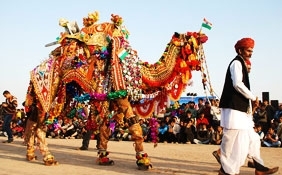 The country’s heritage and culture is reflected in the colorful festivals celebrated in different times in India. The Ganesh Chaturthi leads the series of festivals for the Hindus. 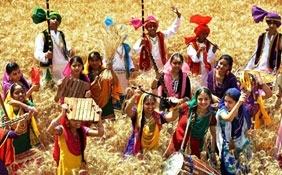 This is celebrated with pomp and glory in the state of Maharshtra. Huge idols of lord Ganesh are exhibited in pandals. Lots of money is spent in the puja. Small Ganesh idols are also worshiped at homes. This week long celebration includes purchasing of new clothes, making of sweet dishes like modaks and pandal hoping. 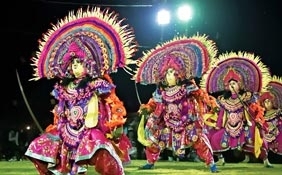 This festival is followed by Durga puja, the most popular festival for the Bengalis. Durga puja is celebrated at every locality in different cities of West Bengal. Maa Durga with her four children is believed descend from Himalaya and stay for four days – Saptami, Ashtami, Navami and Dashami. The Christians celebrate many festivals like Easter and Good Friday, Christmas being the most important among them. 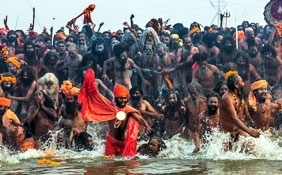 They celebrate this festival by buying new clothes, throwing Christmas parties at their homes, preparing cakes and different kind of sweet dishes, visiting the church and their relatives. Wine and other drinks are the main components of a Christmas party. Churches and cathedrals in the city are decorated with candle balloon and streamers. Festivals like Eid-ul-Fitr, Eid-ul-Azha, Moharrum are celebrated by the Muslims. Dishes prepared are mostly biriyani, red meat, and other non-veg items, sweet dishes include sewai and others. 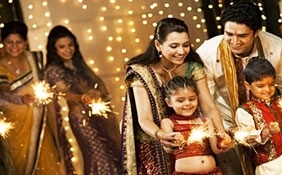 Other festive occasions in India happen during Ayudha Puja, Baisakhi, Bhaubeej / Bhai dooj, Buddha Purnima, Camel Festival, Chaudas, Chhath, Deepavali, Gahambar, Guru Nanak Jayanti, Guru Purnima, Hanuman Jayanti, Kshamvaani, Maha Shivratri, Mahalakshmi Vrata, Mahavir Jayanti, Mahmastakabhisheka, Onam, Paryushana, Pongal, Raksha Bandhan, Rama Navami, Rath Yatra, Teej Festival, Thrissur Pooram, Ugadi, Vasant Navratri, Vasant Panchami, Vat Pournima and Zatra.